Today’s post comes to us from Stacy Blackman, founder and President of Stacy Blackman Consulting (http://www.StacyBlackman.com). Founded in 2001, Stacy Blackman Consulting has helped thousands of MBA applicants gain admission to the most selective business schools in the world. Stacy is a highly-respected expert in MBA admissions and her company is regularly featured in publications such as BusinessWeek, the Wall Street Journal and the Economist. 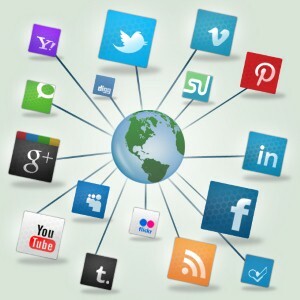 Do you have a profile on any of the major social media platforms? Do you frequently tweet, upload pictures to Instagram or Flickr, or post updates on Facebook? If so, you might want to make sure your online presence won’t derail your MBA application efforts. If an admissions team is leaning toward admitting you to their program, it’s possible that they could do a quick Google search on your name before making their final decision. If you’ve demonstrated bad judgment by posting pictures of yourself doing not-so-upstanding things or making offensive or otherwise politically incorrect comments, you’ve given them a reason to move your application to the ding pile. In November, The New York Times reported on a high school senior who caused a stir at Bowdoin College after posting disparaging tweets about other attendees at the school’s information session. If some undergraduate admissions committees are using teenagers’ social media behavior against them, it’s possible that business schools won’t be any more forgiving with young adults who should know better. It doesn’t end with the admissions committee, either. Let’s say you are invited to interview with a local alum. You can bet that person will try to find information about you before your chat. Once you’re at school, potential internship and full-time employers could do an even more extensive online background check. So while you may believe it’s funny and harmless to post that selfie after you’ve tipped back one too many, think again. There’s a chance you could compromise your MBA candidacy because of a fleeting moment of indiscretion. If an admissions committee member comes across something that raises a red flag, they’ll likely move on to the next candidate. On the flip side, being active on Facebook, Twitter, Instagram and other social media platforms isn’t a complete no-no. In fact, savvy candidates could actually use these venues to boost their credibility and solidify the good impressions made through their application materials. For example, let’s say that you’re hoping to switch careers after business school, and in one of your essays you share your intention to work for a company that develops clean-energy options in third-world countries. You could tweet links to articles or books you’re reading on the subject, you could post about a local conference you attended, or you could give your take on the most promising advancements in the field. Or maybe your career to date has led you to become somewhat of an expert on microfinance. Reinforce that reputation through your online presence. Let people know when you were quoted in an article or asked to be on a panel. Are you a marketing guru? It would be easy to weigh in on—or share—what some of the biggest brands are doing on social media. The key is to keep things professional and on point. It’s absolutely fine to let your personality shine through, too—just as it should in your essays. Remember, if you don’t consider social media to be another way to strengthen your candidacy, you may be missing out on a great opportunity that other MBA applicants will most certainly take advantage of. Leverage social media to develop your online brand, and take it as seriously as you do offline. With care and maturity, this can be a valuable and winning part of your MBA application.